Get your resource bookings under control with fast, simple software. Spend less time juggling your resources in an error-prone spreadsheet and more time on your business. Save time, save money. You'll wonder how you ever lived without it. 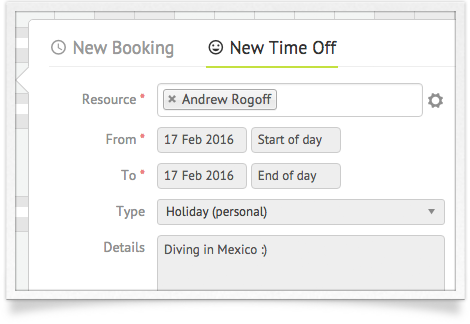 Add, edit, move and delete bookings in seconds. 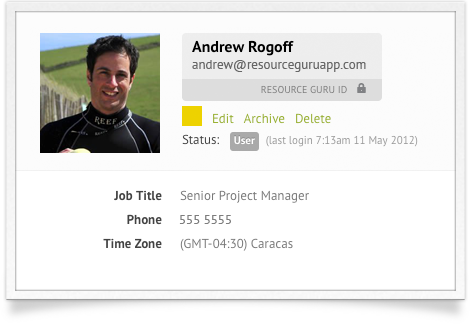 Managing constantly changing staff schedules is difficult but Resource Guru makes resource planning easy and saves you time. See what everyone's allocated to. 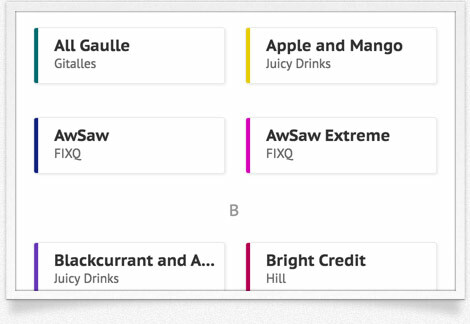 Projects, clients, meetings - all in one tool. Zoom in and out. Plus, the unique "availability bar" helps you maximize utilization. 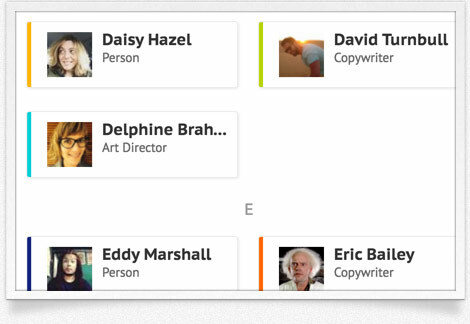 Add custom fields to your resources and use filters to focus in on different groups. 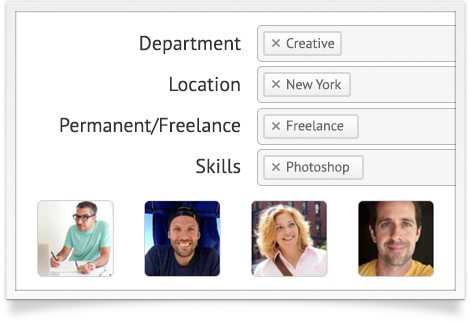 Whether it's "Skills", "Department", "Location" or "Permanent/Freelance", Resource Guru's custom fields and filters are flexible enough for you to schedule and report the way you want. Approving employee requests for time off is difficult without the context of your team's workload. Whether it's vacations, sick leave, maternity leave or other absence, Resource Guru's leave management system makes it a breeze. 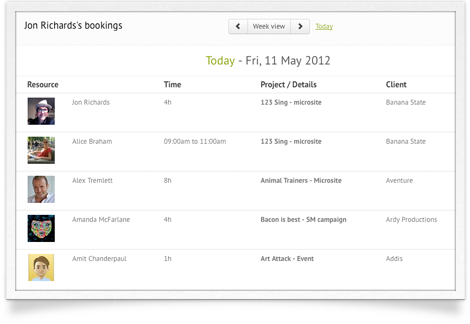 Manage details in one convenient place and assign colours to enable you to view your bookings by project or client. People are happier and more productive when they can log in and start the day knowing exactly what they should be working on that week. Personal dashboards are always bang up to date and daily schedule emails are available too. 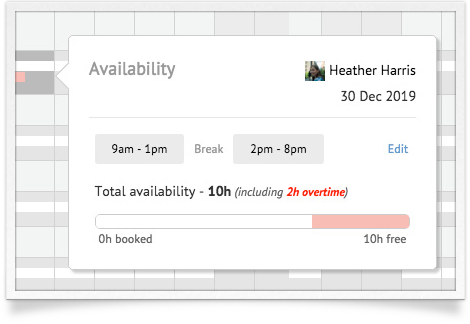 With availability settings for each resource, over-bookings become a thing of the past. Clashes are automatically prevented. Bookings can be added to a waiting list and used for capacity planning later, leaving you to get on with your busy day. Nobody wants to do it, but occasionally people need to work late or over a weekend. 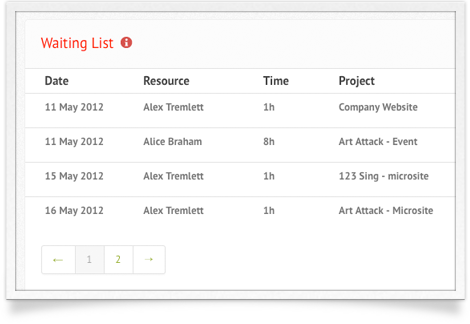 With Resource Guru, you can keep tabs on who’s being over-worked or which projects are problematic. 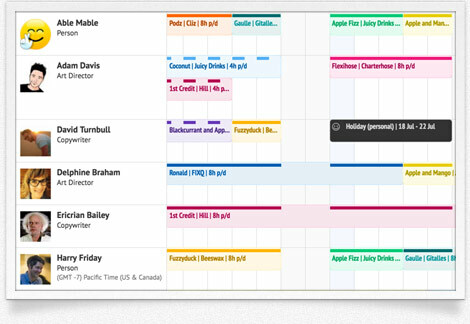 Whether you're scheduling people, equipment or meeting rooms - keep track of them all in one place. 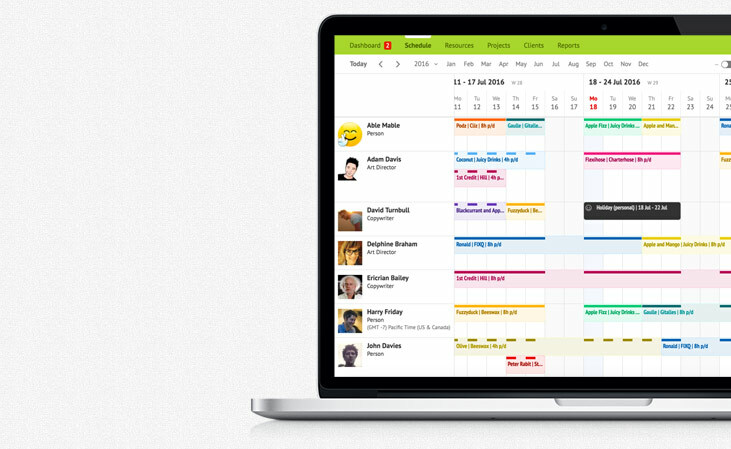 Share them across your entire company on one coordinated calendar. With individual logins, Project Managers can make bookings simultaneously with no chance of stepping on each others toes. It's one resource pool, one calendar and zero pain. Sign up in seconds and get started immediately - it's that simple. 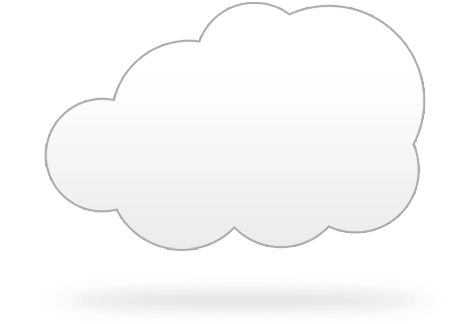 A huge amount of thought has gone into Resource Guru to ensure that it's simple to use and requires no training. Of course, we are always here to help if you need it.